Are you looking for fun and interactive activity that will keep your kiddos engaged while learning about graphs during March or April? 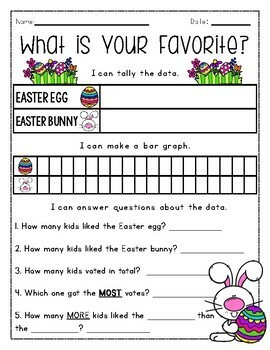 Have your students survey their friends about which Easter symbol they like more: the Easter Bunny or an Easter Egg! This will be something they won't forget anytime soon. This is a fun and different way to practice graphing in your classroom while encouraging collaboration between students. Students grab a clipboard and find some friends to survey. They collect data, form a graph and then analyze the data they collected by answering questions. 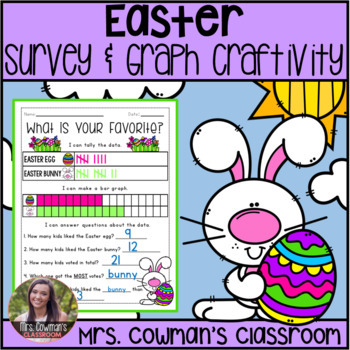 This activity is perfect for an Easter or Springtime math lesson, morning work, calendar time, math centers, early finishers, substitutes, and homework. I have also included two different "craft templates" that can serve as a topper to your graph. 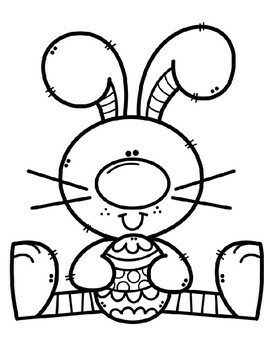 There is a rabbit holding an egg craft template (prints 1 to a page) and three different eggs (prints 3 to a page). There is also a half sheet writing page where the students can record in a sentence which they like better. This is a simple, easy craft where students simply cut out the template you perfer and color!! 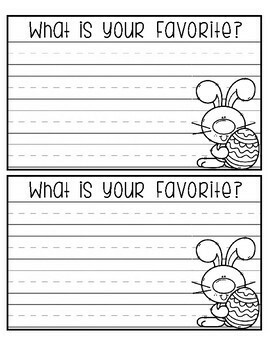 I will say that the eggs template is much easier for cutting out than the bunny so try mixing and matching to fit your student's needs. I have my students do this craft after they complete the graph. Combine the graphing activity and the writing activity to make an awesome hallway display! Questions? Check out my preview for an example! Everything is offered in both color and black & white!